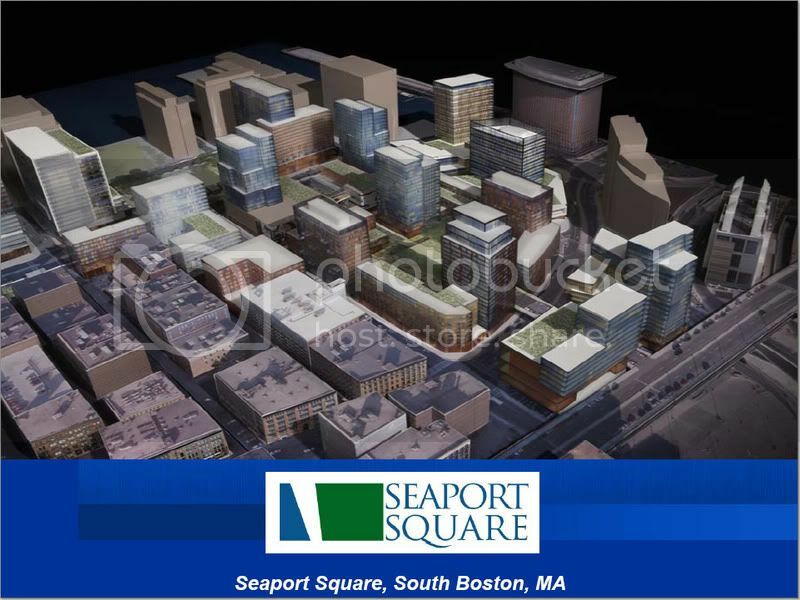 South Bay and even South Shore Mall probably siphons more of DT Crossing's core customer base than the presumably more upscale retail on the Seaport would. Back Bay might have more cause to worry if it was so much more, you know, attractive. Developer John B. Hynes III got in trouble with Mayor Thomas M. Menino recently when he suggested building a private school on the South Boston Waterfront. 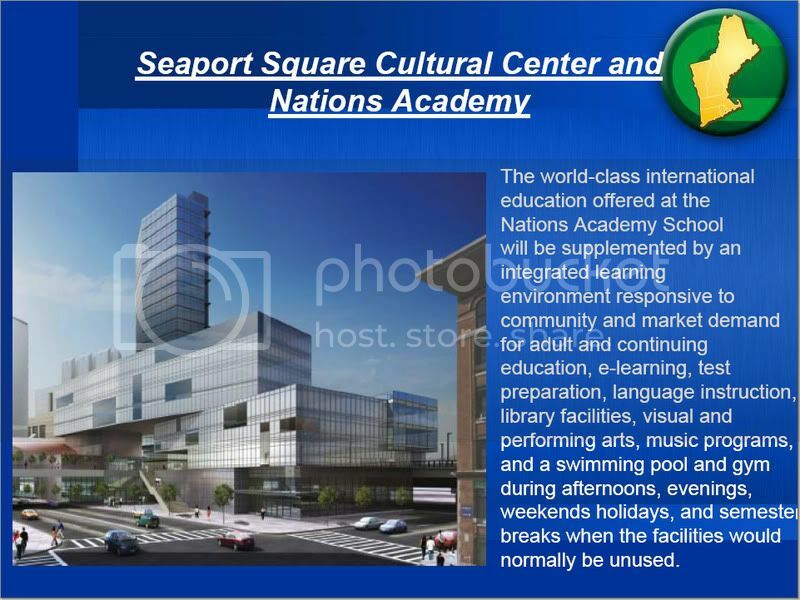 The reaction from City Hall might have been different if he'd talked about other elements of this part of his huge Seaport Square project -- including a performing arts center in a complex that would also feature a 300-room hotel, adult education and conference facilities, and a health club. Arts facilities and hotels are both uses that usually generate an enthusiastic response from City Hall. 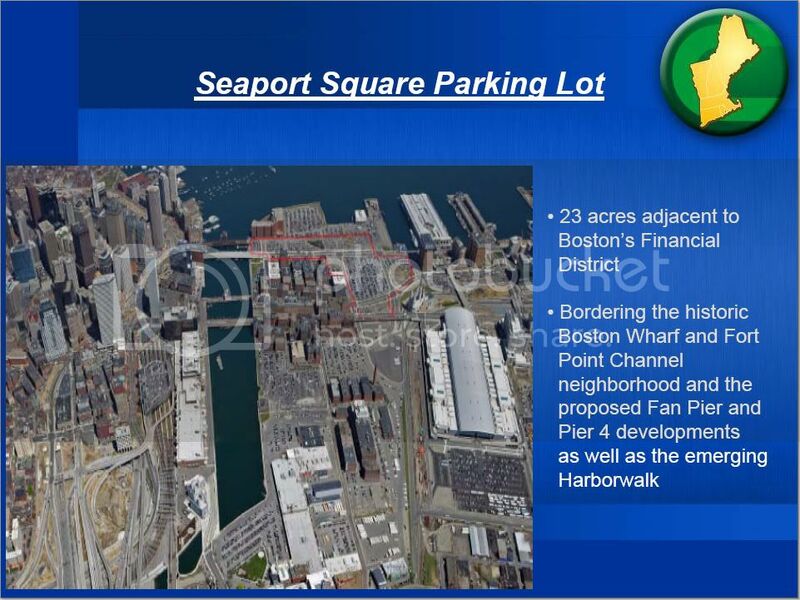 And some in the arts community love the idea of a stage in the emerging South Boston Seaport District. "A lot of people are always looking for space, for theater and dance particularly," said John Michael Kennedy, public relations director of Huntington Theatre Co.
Hynes, along with development partner Morgan Stanley, is building one of the largest projects -- covering a 12-block neighborhood -- in this emerging part of the city. 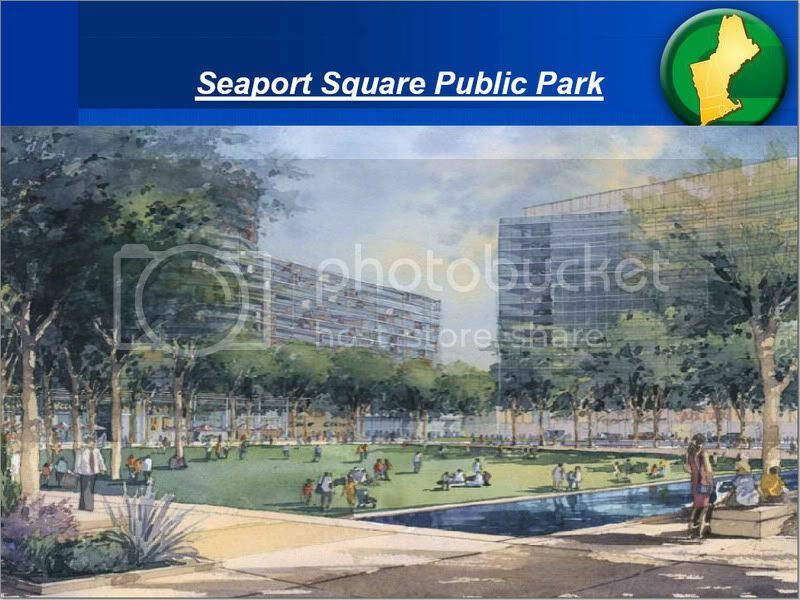 Seaport Square, on 23 acres of parking lots formerly owned by Frank H. McCourt Jr., could cover 6 million square feet when complete. 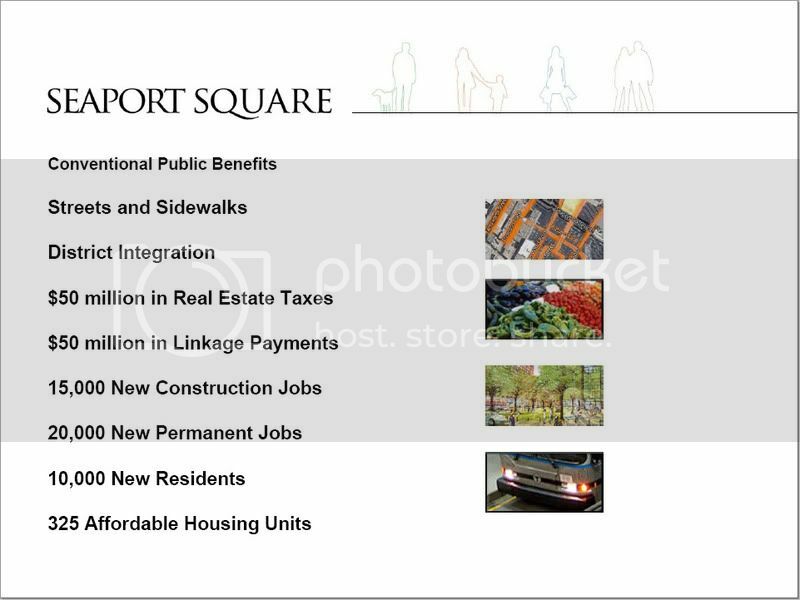 It will include residential buildings, office space, restaurants, retail space, and a large park. 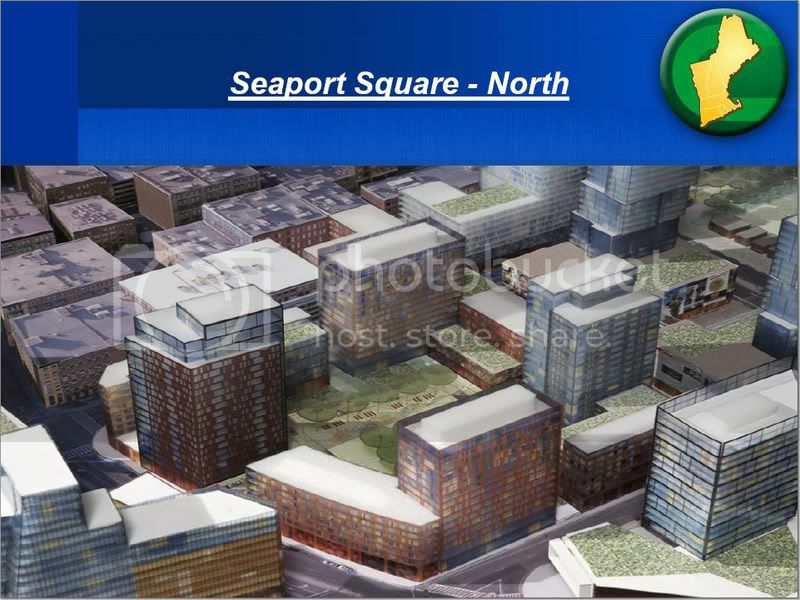 A Boston Redevelopment Authority official said it would be at least two years before the project gets underway. 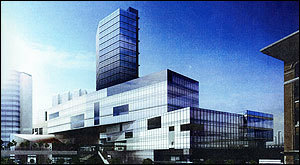 One essential element in a successful neighborhood, Hynes said, is a place for the arts. "Some of the most vibrant areas of the city have these elements, and they've taken hundreds of years to evolve," Hynes said. "They've grown organically. We're trying to do that overnight." Arts community leaders say that, while there may be a shortage of popular shows to fill the theaters with a thousand or more seats, there are more than enough troupes to fill more modest facilities. Hynes's performing arts facility could have as many as 3,000 seats, he said -- but would be designed so it could be broken down into smaller spaces of a few hundred seats each. "What has always been needed in the Boston area are these smaller venues, in the 250 to 300 seat size -- not the big commercial house," said Spiro Veloudos, producing artistic director of the Lyric Stage Co. of Boston, now located at 140 Clarendon St. in a space with 244 seats. "If there was a 350 to 400 seat theater on the waterfront, I'd be looking to rent it to add to the space we have." Hynes's complex would be built on his property's southern edge , along Summer Street, which is now just a bridge. It is planned for the area between Summer and Congress streets, which is at a grade about 30 feet below Summer. 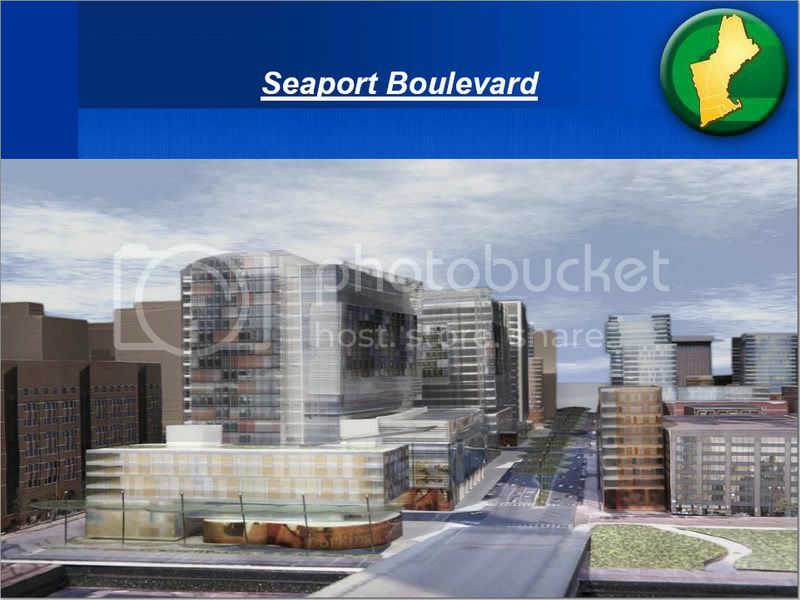 The complex would be built on multiple levels on both sides of a brand new street -- Harbor Street -- that would extend downhill, over Congress Street, connecting Summer to Seaport Boulevard. The hotel would face Summer, across the street and to the east from the Boston Convention & Exhibition Center. "Our feeling is that the location of a facility across from the convention center, under a hotel, with a short walk to the Harbor Park we've designed, with the retail we've proposed, lends itself to this entirely new opportunity for all sorts of cultural institutions to participate," Hynes said. None of this has been yet approved or permitted; it is only now taking shape in the offices of KPF Architects of New York and among scale models of building blocks at Gale International's offices in Boston. Hynes is president of Gale, which developed the successful One Lincoln Street. "Everything we've done there for the block is conceptual in nature," Hynes said. But he said he's found interest among representatives of the local arts community with whom he's discussed the proposal. "Let's see, do I want to be quiet about this?" Hynes said, recalling the political firestorm that broke out after he disclosed he might build a private school because some of the families who would move to the new neighborhood would probably avoid Boston's public schools. Menino responded by charging him with elitism. Without saying specifically whom he has met with, Hynes said, "There are some institutions in Boston, like the Opera, Boston Ballet, Berklee School of Music, all of whom might be interested in leasing or using this facility." The working proposal is that the developers, while building condos for sale and office and retail space for lease, would own the performing arts facility and lease it out. Hynes is also considering creating a joint venture with cultural institutions that might want to use the facility "on a more permanent basis," he said. "It's part of our master plan not to develop in a conventional and, some would say, sterile way," he said, "but to try to create an atmosphere and environment that would be different and would thrive." Thats to conceptual to be in boston. I'll see it when i believe it. I like the looks of the design. Seems like Boston is getting more bold in design. Definitely different than the common boxy buildings. personally, "I'll believe it when I see it" because its too conceptual for this town. but then again thats just me. 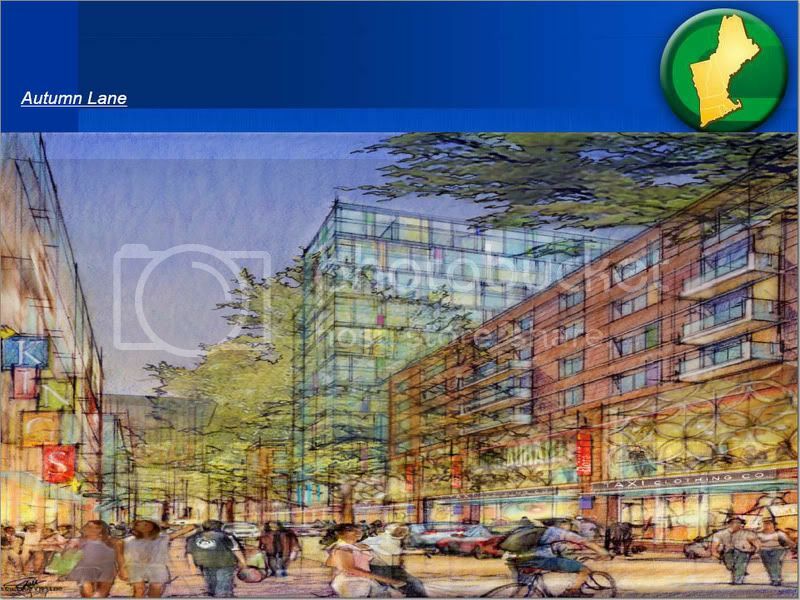 There's also a rendering of Filienes (1 Franklin) that I haven't seen before. Most of the property tax in the city goes to the schools. The people living at here will be paying a fortune in property taxes and will not send their kids to Boston schools. That means a lot of money for the city. I understand that the mayor has to defend the public schools, but I'm hoping this is just a show. Let's face it Boston's schools, excluding the exam schools, are trash. I think the mayor just wants to slow this project down so that his buddy building out Fan Pier gets a head start in the market. Complaining about a private school as being elitist is a red herring. I wonder, what does the Mayor think about the local Southie kids who go to parochial school? Is that elitist, or is there another word for that? 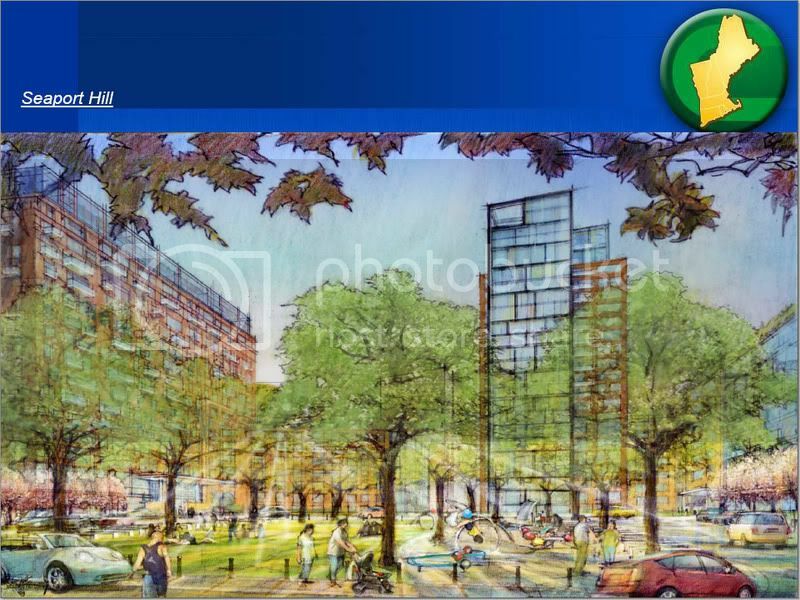 I found a bunch of renderings for this project that we haven't seen. They come from a PowerPoint presentation by Hynes to MIT's Center for Real Estate dated 2-14-08. I don't know how accurate these are -- in the PowerPoint were also some out-of-date renderings of One Franklin. I guess we'll find out after the public meeting regarding this project on Mar. 25. 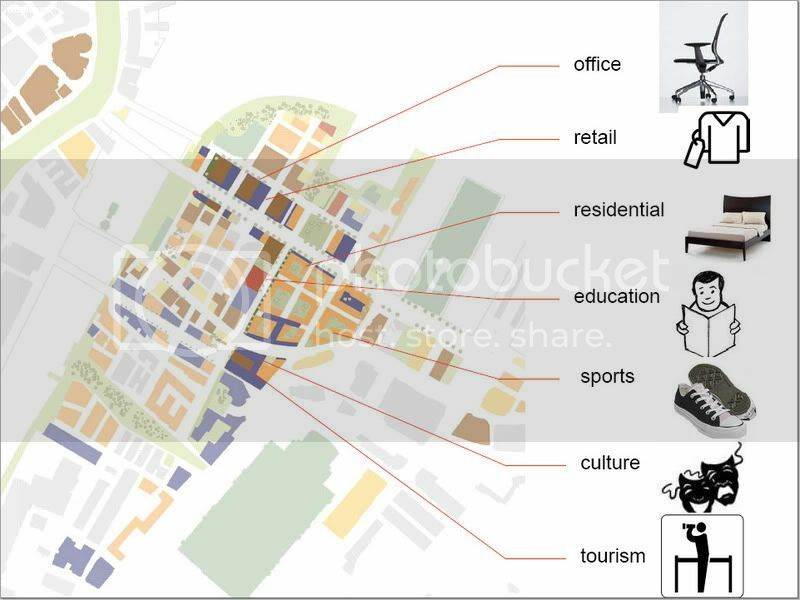 I'm intrigued by the materials that might be used in this project but the massing and urban planning is all wrong...lots of fat, squat blobs that can't even fill their own superblocks. Seaport Hill -- where is this? The current land is flat, being landfill. I think the massing is right on. Look at the building floor plates compared to the warehouse buildings. They seem comparable. Then look at them compaired to the Fidelity West Building. That building makes the seaport square buildings seem small in comparison. 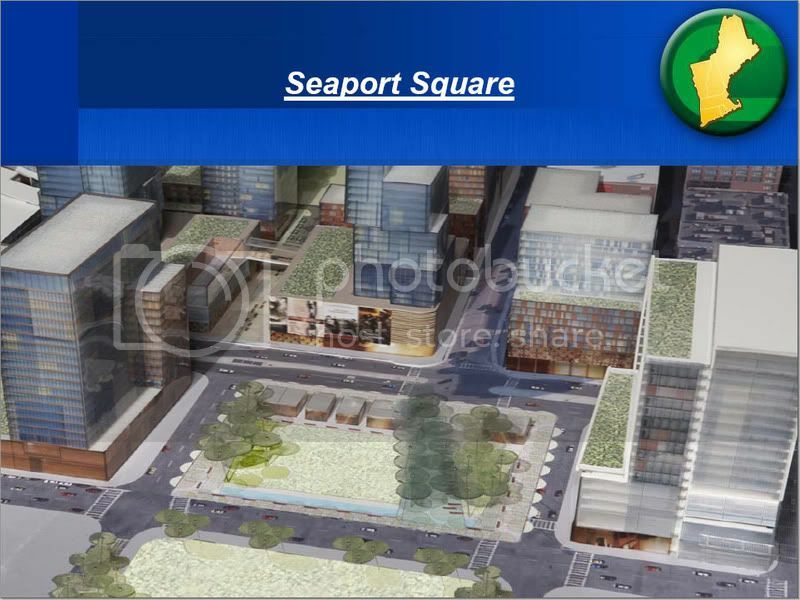 And I like how the greenspace is proposed in this development with the creation of a central park (seaport hill). 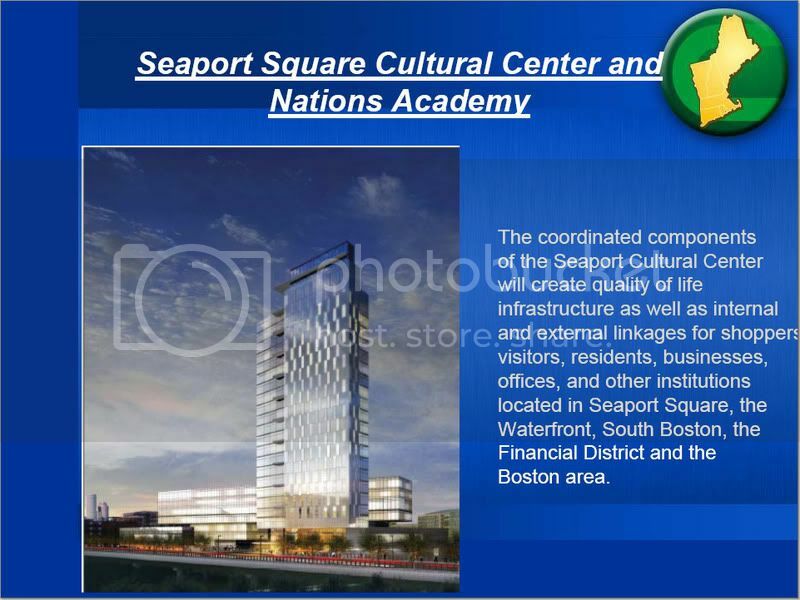 Not as much a fan of the seaport squar because it reminds me of the RKG (but at least it is only one parcel). It's also good planning to have the buildings reinforce the street walls on Summer, Congress and Seport Blvd. I really like the added intersection at Summer St. and proposed roadway that splits the site. 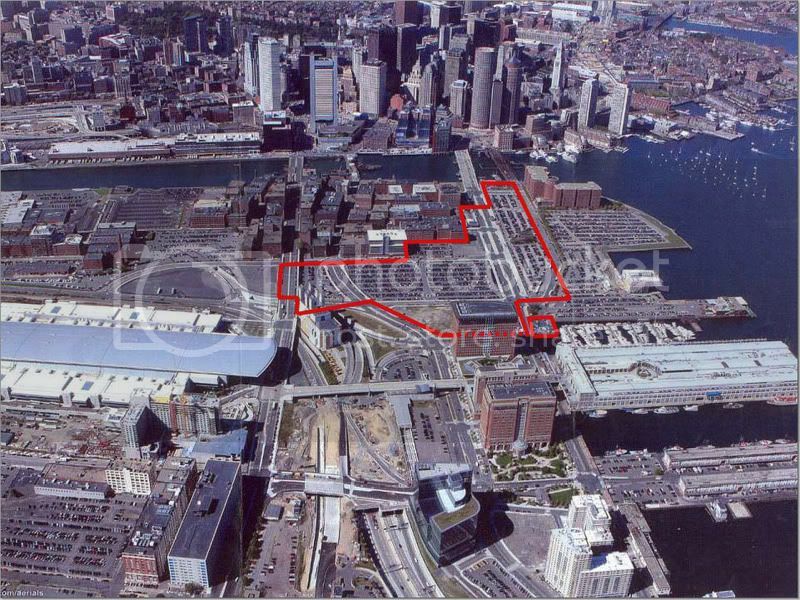 Right now there is no intersecting street from near the fort point channel until past the convention center. I think what you are seeing is the 'greening' of urban architecture. Lots of green on the roofs. 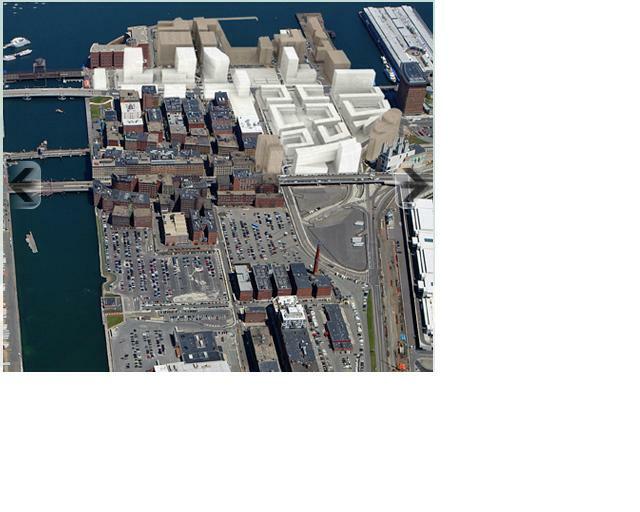 In this day and age, you won't again see the massing and density of the Boston Wharf complex. Are there any other updates on the project? Or does anyone know when it will begin? I think it is a good plan over all, I especially like that there will be many uses for the buildings, not just blocks of condo towers. I guess I can live with all the green space, some place to expand later on. The only thing is that since all the buildings kinda look the same I wonder if the area is going to have any charm. I could be wrong since all the Boston Wharf Buildings look the same and they are some of my favorite in the whole city. Time will tell. Nations Academy...WTF? I LOL'd when I saw that. But Where Will I ever Park? LOL ! ! ! Does this mean McCourts grand subway station plans are dead?